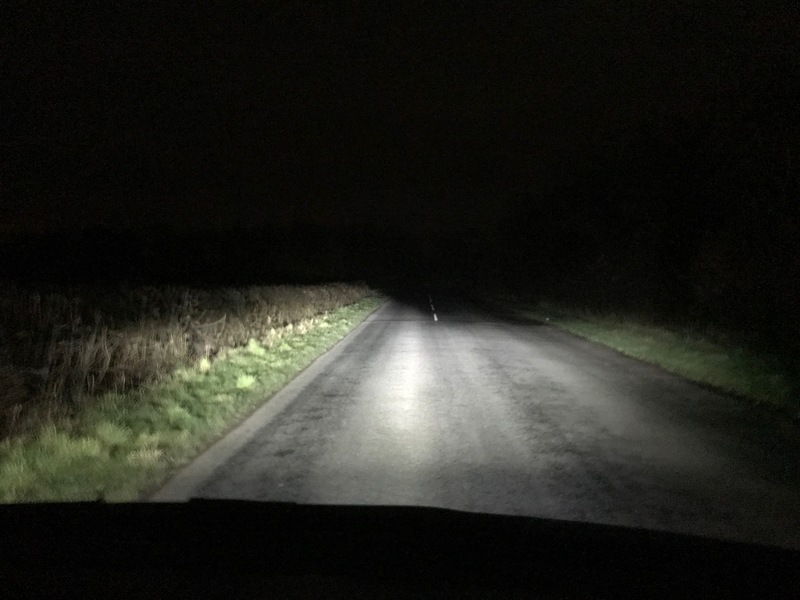 "The answer to an enjoyable night driving experience"
The end of the road for dim original and inferior replacement halogen bulbs that consume lots of current! A 6v 24/24w tungsten or halogen replacement uses 4 amps and gives a yellowish beam. A 12v 35/35w uses 3 amps. Say goodbye to 24/24w or 36/36w "dim as a Toc H lamp" headlamps. 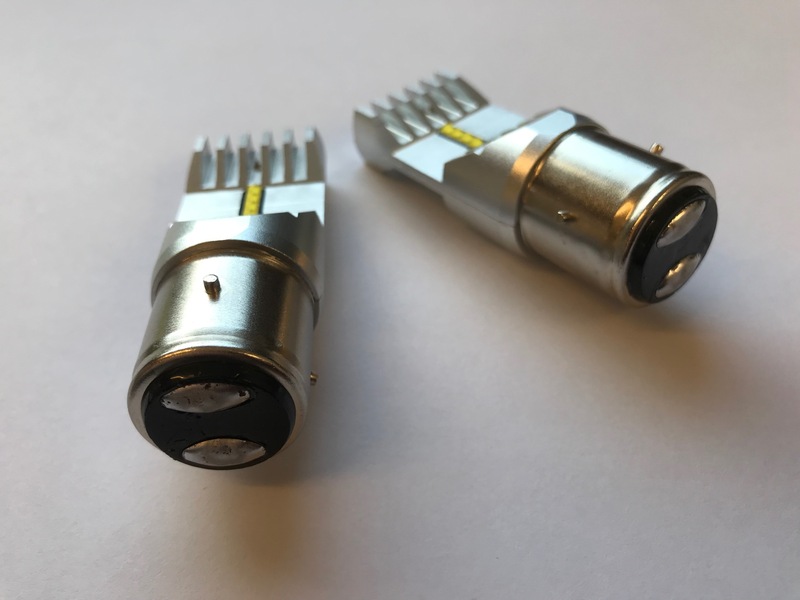 Our "Double Dipper" range of direct replacement bulbs replace standard twin filament headlamp bulbs and have minimal current consumption and a white light enabling you to see and be seen. (0.44 amp and 0.88a @ 7v) . 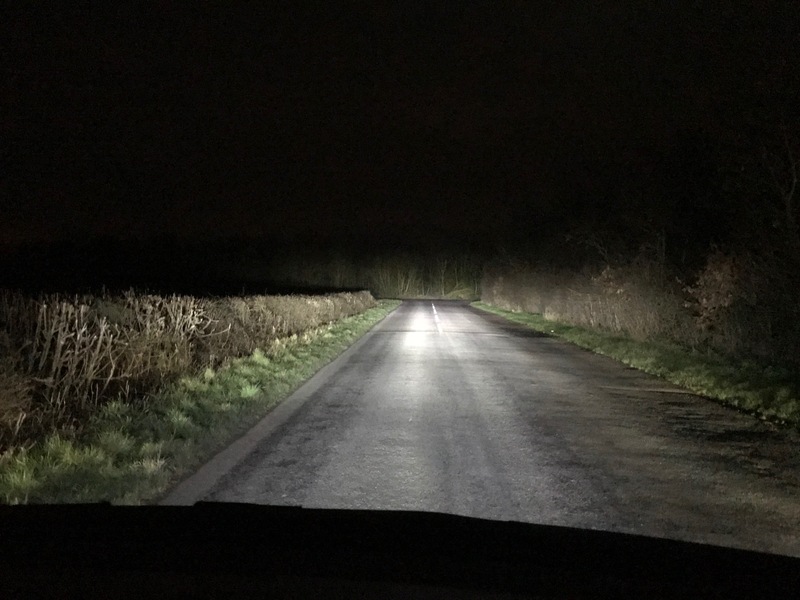 A crisp, white light with an excellent beam pattern that will change your night time driving experience. No filaments to blow and no fragile glass envelopes. Negative and positive earth available. Hover your cursor over the pictures above to see details and names of each type of bulb. Fittings to suit most cars and motorcycles. Completely new design with excellent beam pattern. Bi-polarity. Please ensure that your headlamp reflectors are in good condition. If in doubt, have them re silvered. Our Double Dippers should be focused as with std. bulbs (BA15d and some BA20d) and head lamps MUST be aligned so as not to dazzle other road users. Bulbs are individually inspected and tested before packing to ensure correct and perfect operation and are supplied with fitting instructions. 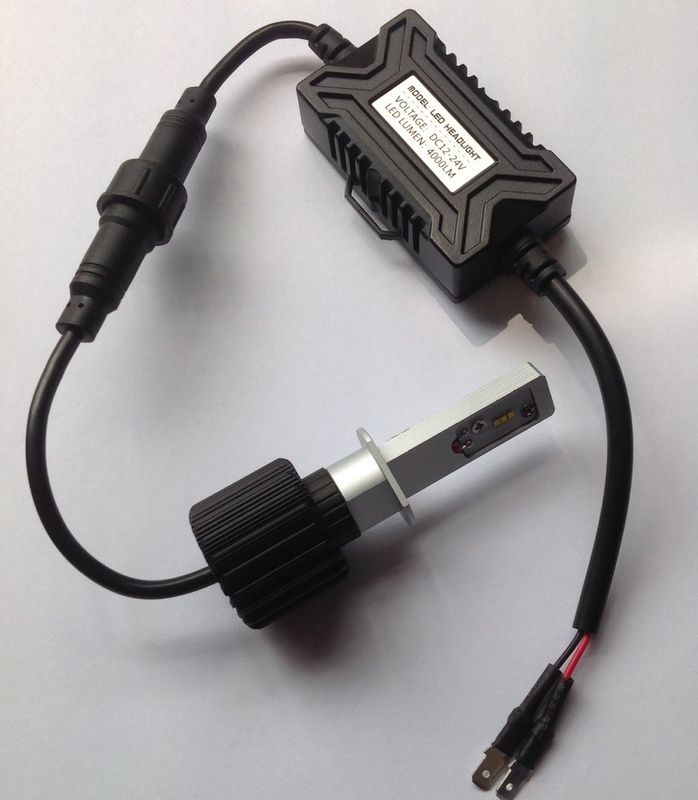 Fix kit for use only with our Double Dipper bulbs when your vehicle has a high beam light fitted. Bright, white BA15s, BA15d, P36s and BA20s single filament equivalent headlamp/fog lamp and driving lamp bulbs. 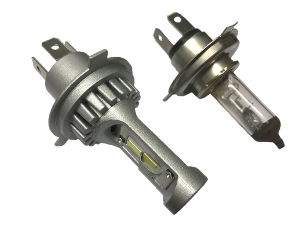 One bulb suits 6 and 12v negative or positive earth vehicles. BA15d double contact cap (for 2 wire systems - non earth return) as found on many 1920's cars with no dip or mechanical dipping. P36s as found in post war Lucas (and others) driving and fog lamps. Direct replacement - No adaptors required - Just take out your old bulb and put the LED bulb in. Replaces a standard single filament bulb as used in fixed or dipping reflector type head lamps on vintage and post vintage cars. Suits vacuum dippers, solenoid dippers and Barker type dipping systems. These bulbs are for use in pre April 1986 vehicles only. They should be focused as with std. bulbs and head lamps MUST be aligned so as not to dazzle other road users. Click HERE to see important fitting tips. The one you have been waiting for! These are the same size as a halogen H4. Amazing beam pattern and cut off. The best! Plugs into the vehicles existing H4 socket just like an original bulb. Remarkable light output that replicates the beam pattern of an original halogen H4. Click HERE to see beam patterns. 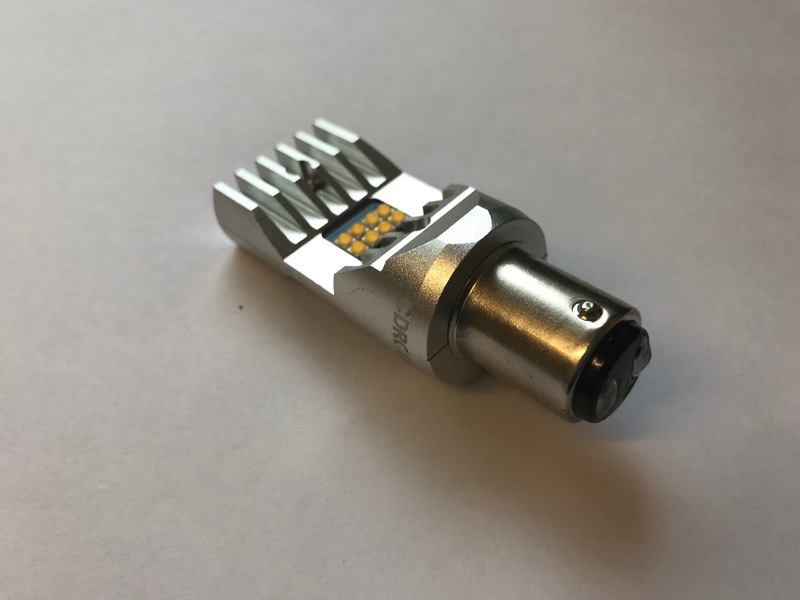 The tiny LED chips accurately replicate the filaments of a standard bulb giving a precise and accurate beam pattern with excellent cut off and a crisp, white beam. 6v - Exclusive to us! These bulbs are nearly the same over all length as a standard P43t H4 with its power plug connected. Usually, wherever a standard bulb fits, this bulb will fit! 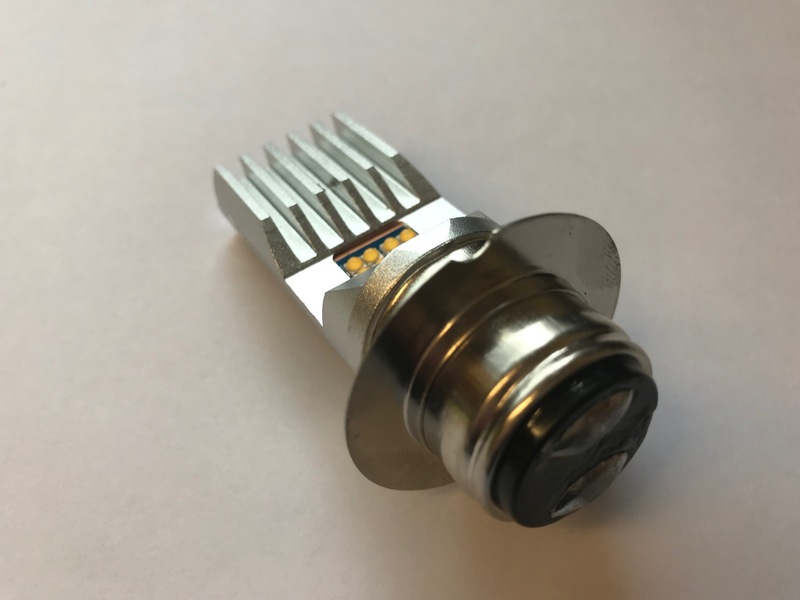 These P43t LED headlamp bulbs use 12 tiny Samsung chips which produce an excellent crisp light beam comparable with an original P43t halogen bulb. Output is equivalent to a 60/55w halogen bulb. They are adjustable for centre, left or right hand dipping. There is no unreliable cooling fan unlike some inferior bulbs on the market. Ideal for all cars and motorcycles that use a P43t bulb(s). They are designed to be direct replacements for original bulbs. Plug and play as they call it today. Each bulb, its driver and power cord are IP65 rated – waterproof. The driver is made using quality branded US and Japanese made components. Great light output and pattern with a compact case and a built in driver. 6v and 12v H4 (472) replacements suitable for most applications. 6v and 12v 60/55w equivalent direct replacement LED H4 dipping bulbs. P43t fitting. This latest version features high quality chips by Philips, the largest manufacturer of LED chips for automotive use.